Lower back pain costs consumers millions of dollars each year in medical care, medications and time lost from work. While it may not always be avoided, following a few healthy practices can reduce the incidence of back pain. Check out some of the simplest ways to steer clear of low back pain, presented by the board-certified and board-eligible spine surgeons at The Spine Institute Center for Spinal Restoration. Prolonged sitting for some individuals is an occupational hazard. A good selection of ergonomic chairs and office furniture is available for workers who spend much of their day sitting at a desk. If specialized furniture is unavailable, a small rolled towel placed at the lower back is good for support, and getting up every two hours to stretch and walk around helps relieve pressure on the lower portion of the spine. Physician-approved exercise is essential to preventing lower back pain. Not only does exercise strengthen the muscles that support the spine, an increase in blood flow to the area helps to minimize injury. Excess body fat puts undue stress on the spinal column. Extra abdominal weight is a major culprit in lower back pain, because it pulls the spine forward out of line and drags the muscles and vertebrae downward. Many injuries to the lower back are caused by improper bending and lifting. It is important not to bend over to move objects or lift them from the floor. Using the powerful muscles of the legs to do the work of lifting by squatting and lifting the object held closely to the body will protect the lower back muscles and spinal column. Many lower back problems are started or exacerbated by poor sleeping habits. A firm, well-supporting mattress is recommended along with good sleeping posture. Sleeping on one’s side with the knees bent and the top leg supported by a pillow is a good position that helps keep the spine in alignment. 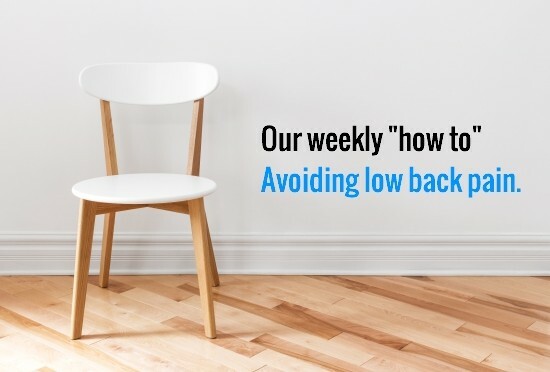 Do you already suffer from low back pain that makes daily activities difficult to perform? Reach out to the spine specialists at The Spine Institute Center for Spinal Restoration and schedule an in-person consultation. We can overview your options for treatment from non-surgical intervention to traditional spinal fusion to non-fusion alternatives. Call (310) 828-7757 for more information.